Traffic court fees are some of the most misunderstood aspects of the entire traffic ticket process, and, unfortunately, often some of the costliest. The possibility of an added expense to your already high-priced ticket is not something to which driver’s take kindly. There are Three Things To Know About the Court Costs associated with your traffic ticket. How you can avoid or reduce court costs? Do you have to pay court costs if you hire a ticket attorney? Let’s not kid ourselves. At Unger & Kowitt we pride ourselves on fighting for your rights against traffic ticket injustices, but at the end of the day our clients are looking to get some relief from a myriad of expenses related to traffic tickets, whether or not they did something wrong. A big part of those expenses has to do with court costs that you may be ordered to pay if you decide to fight your ticket in traffic court. As such, recommending that you fight a ticket – as we almost always do– is not something we do lightly. Court fees or costs, as they are often referred to, are little more than the administrative fees associated with taking your ticket to court – supposedly charged to make up for the court and its officers’ time and effort handling a ticket you never wanted to get in the first place. Just like with Toll-By-Plate fees which are charged in addition to the toll for the expense to process your payment, the court charges a fee to process your case – only it’s a lot more expensive. Unlike Toll-By-Plate processing charges, however, court fees associated with your traffic ticket can be dismissed or reduced. When you get your traffic ticket, read the fine print to learn what is the range for court fees on your particular infraction. Although the presiding judge or magistrate has discretion on what court fees to charge, there is a limit spelled out in your ticket. That explains how you can be charged different court fees for the same infraction on different occasions and how a friend of yours could be charged less, or more, for the exact same kind of ticket. Although it can be very frustrating to learn that a friend of yours had significantly less court costs than you, for the same type of ticket, it can be just as rewarding to learn that your traffic ticket attorney had your court costs totally eliminated or reduced. There are four factors that determine what your court fees in will be: your driving history, the type of ticket, your attitude towards the officer who ticketed you, and the judge or traffic magistrate hearing your case. As some of the factors associated with the court costs involve your behavior, that may be another good reason to put your possible court fees in the hands of an experienced traffic ticket attorney. They know the how to approach a judge, and almost as importantly, how not to aggravate him/her. 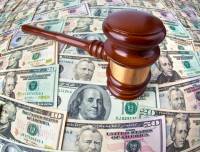 Do You Have to Pay Court Fees if You Hire an Attorney? Just the act of hiring a traffic ticket attorney to fight you case doesn’t eliminate the chance of having to pay court costs anymore than hiring an attorney guarantees that you don’t have to pay the ticket. The good news? A good traffic ticket attorney knows how to reduce or eliminate those fees which can more than make up the cost you paid the attorney. But make no mistake; there is no guarantee that you won’t have to pay court fees. If you can find an attorney who agrees to cover all court fees make sure to get that in writing and be leery of how you may be charged to make up for that expense, should it come to fruition. So there it is: everything you never wanted to know about court fines. Yes, they can be the proverbial salt in the wound of your traffic ticket experience. Luckily, a good traffic ticket attorney will provide the right balm to ease the pain and get rid or reduce those court fees, along with the ticket, points and possible insurance hikes. To find out what court fees you’ll be looking at in your traffic ticket case and the options you have to fight your ticket, call 866-374-8355. Good luck. Previous PostPrevious What Happens If You Don’t Pay a Traffic Ticket on Time?